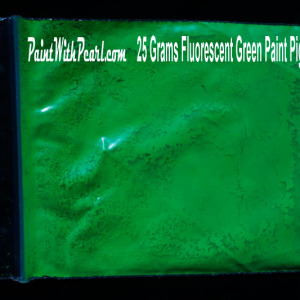 Our Fluorescent Pigments have a bright look and would easily glow under the right black light conditions. They seem electric neon and have a bit of a glow of their own. 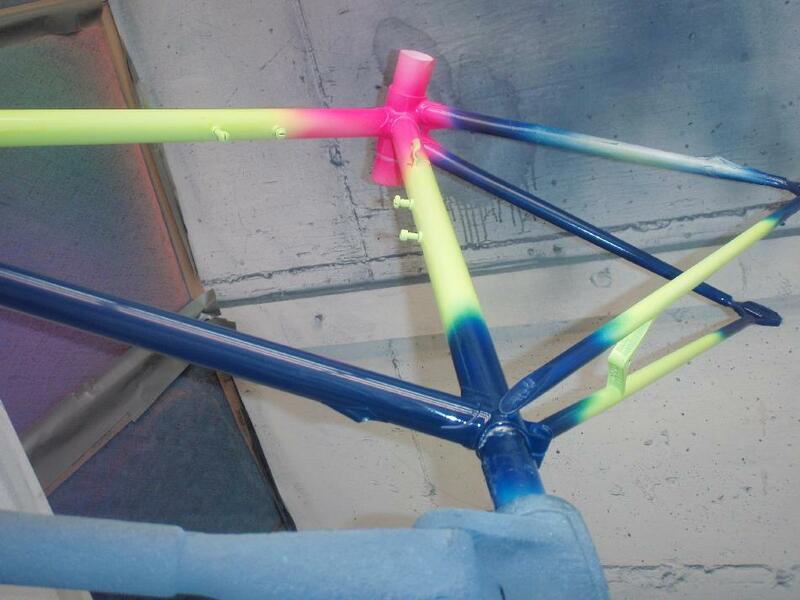 These neon colors are more sensitive to UV and should be protected with a high solids clear. With slightly different properties than ordinary pearls, care should be taken of these colors if they are to be exposed to UV light for any long amounts of time. 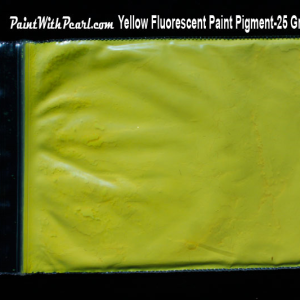 All fluorescent pigments tend to fade when exposed to UV unprotected. We recommend always top-coating with a high solids top coat that can protect your fluorescent pigments from the UV rays. 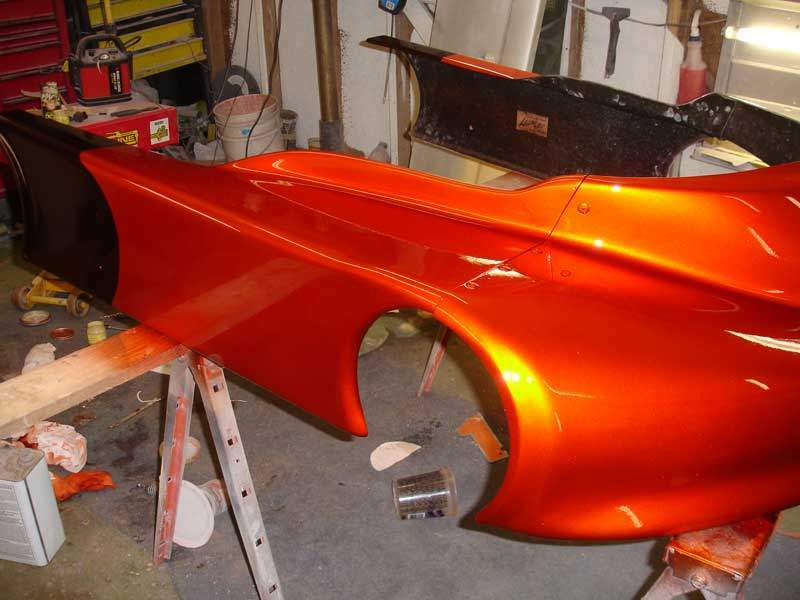 These particular pigments are also not tolerant to high temperatures, so they should not be used for powder coating or high temperature applications like engine paint. 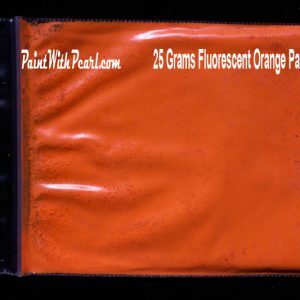 Make sure to visit our Downloads page to get instructions on using these Fluorescent pigments in the best manner possible. 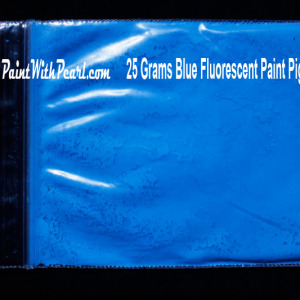 It is very important to follow the instructions for this type of pigment, because it takes more time to disperse into clear in a manner that makes it easier to spray out. 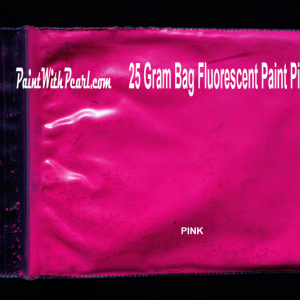 Kandypearls is the original seller of pearl pigments on the Internet. We have been around since 2005, and have upheld an amazing reputation as far as kustomer satisfaction is concerned. 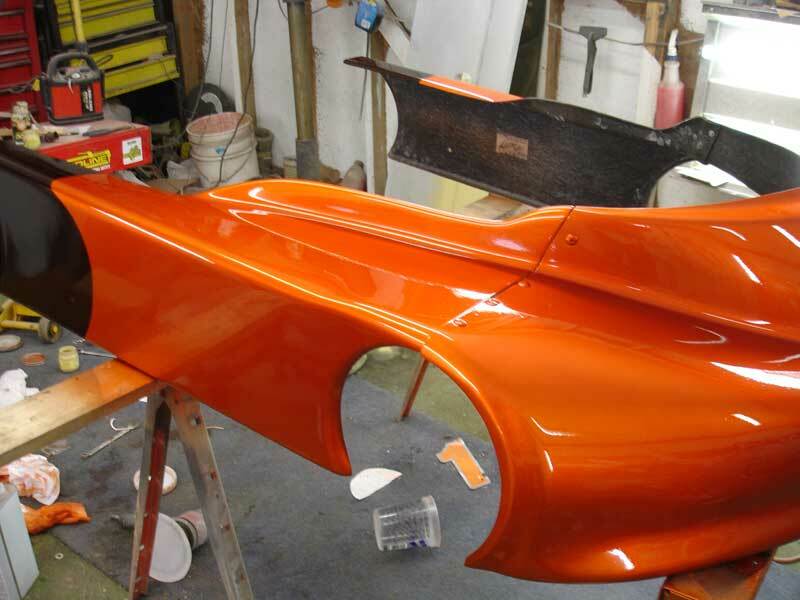 You can always count on speedy shipping, great kustomer service, and when you call us, you will always talk to an owner of the company. Never any need to ask for a manager. We have been around for 10 years and are on our second web site. Check out our old site if you like. Don’t forget to check out our Youtube Channel. 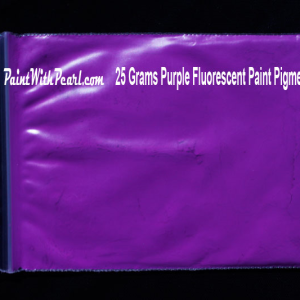 Purple Fluorescent Paint Pigment in 25 Gram Bag (treats one quart of spray-able clear).